Sorry for no posts, having too much fun. Here I am with a group of photographers on Waikiki Beach after a catamaran cruise. 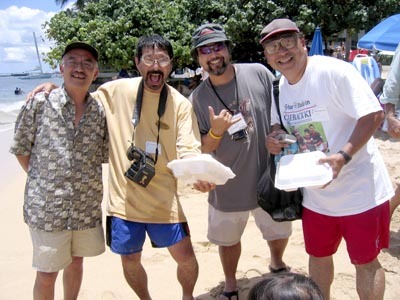 Barry, Dennis, Me and Paul. A movie of our cruise. 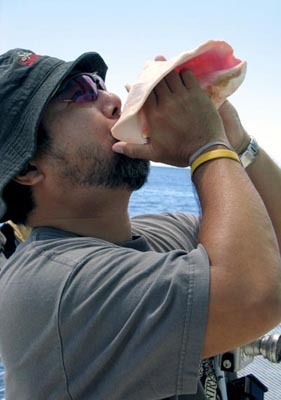 Now that’s how to blow a conch shell. 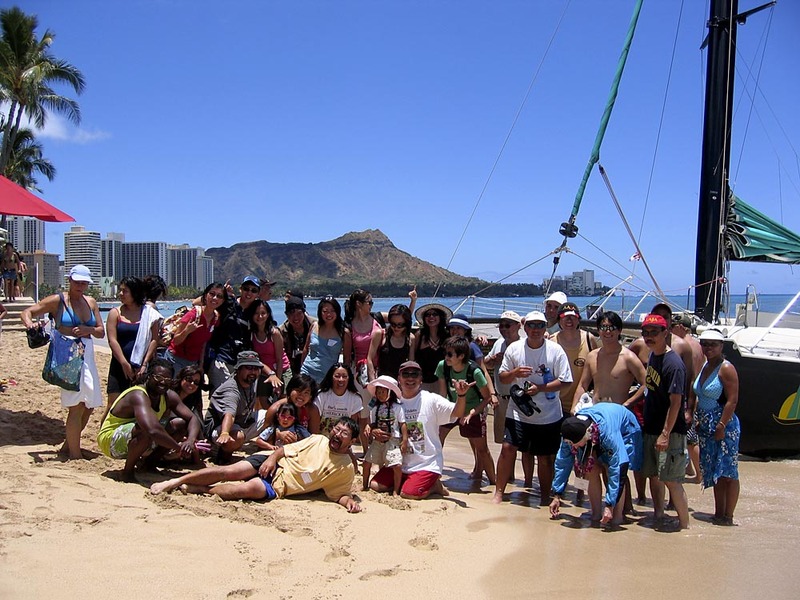 A shot of our group after the catamaran cruise off Waikiki. 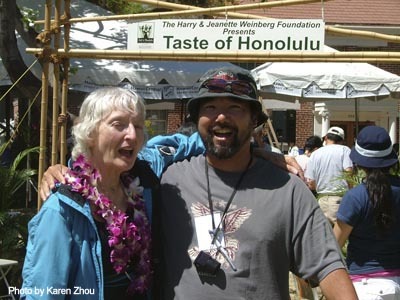 Leah and myself as we get ready to head into the Taste of Honolulu. For $4 you get entry then buy script to eat and eat and eat. Our Dennis imitation with our mouths open, or maybe we’re just hungry. A gallery of photos. And I still have video to come! If the vacation shots bore you come back next week.